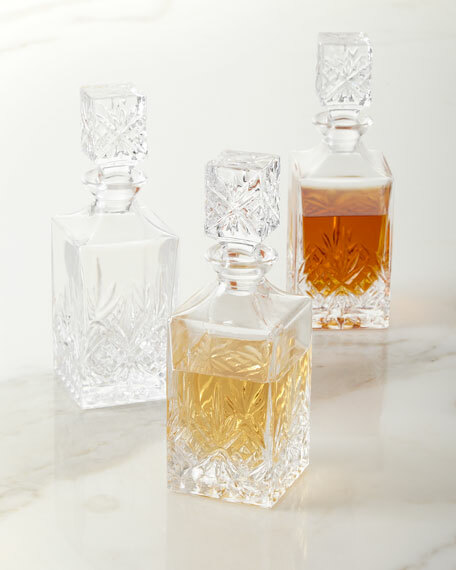 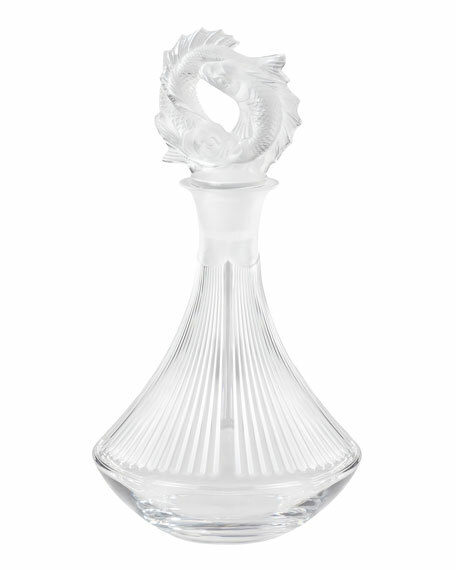 Designed to highlight the flavors of the finest spirits, the Double Fish Decanter enriches the fleet of Lalique decanters to satisfy the desires of connoisseurs and discerning collectors. 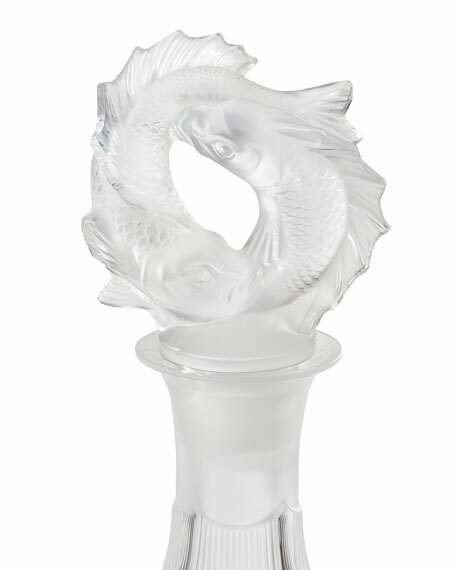 Highlighted by satin-finished crystal, a couple of Koi fish symbolize richness and perseverance; gushing from water to adorn the stopper. 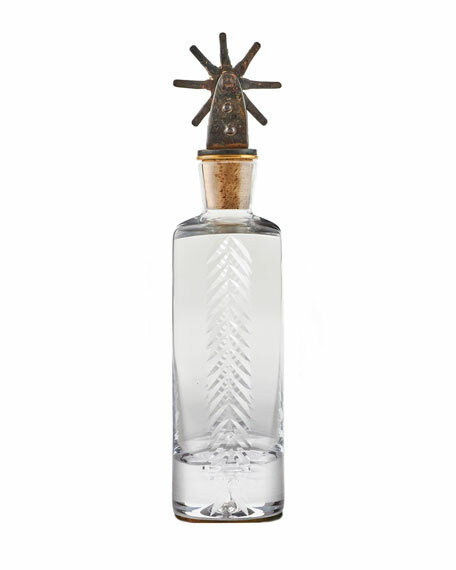 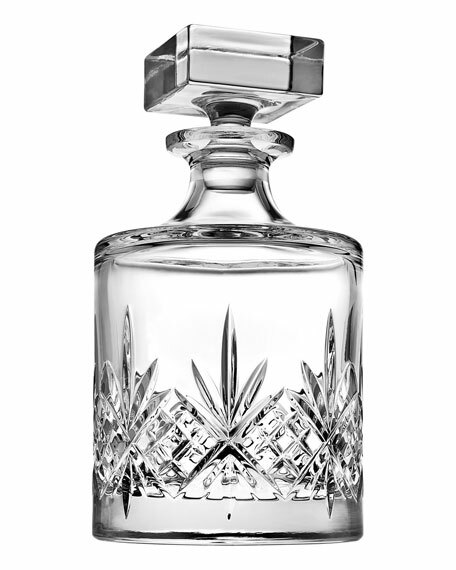 Made from crystal of the finest quality, this decanter opens the doors to a universe of everyday luxury living.